Time for us to give you another Pinch of Motivation! This week it’s from Ben. 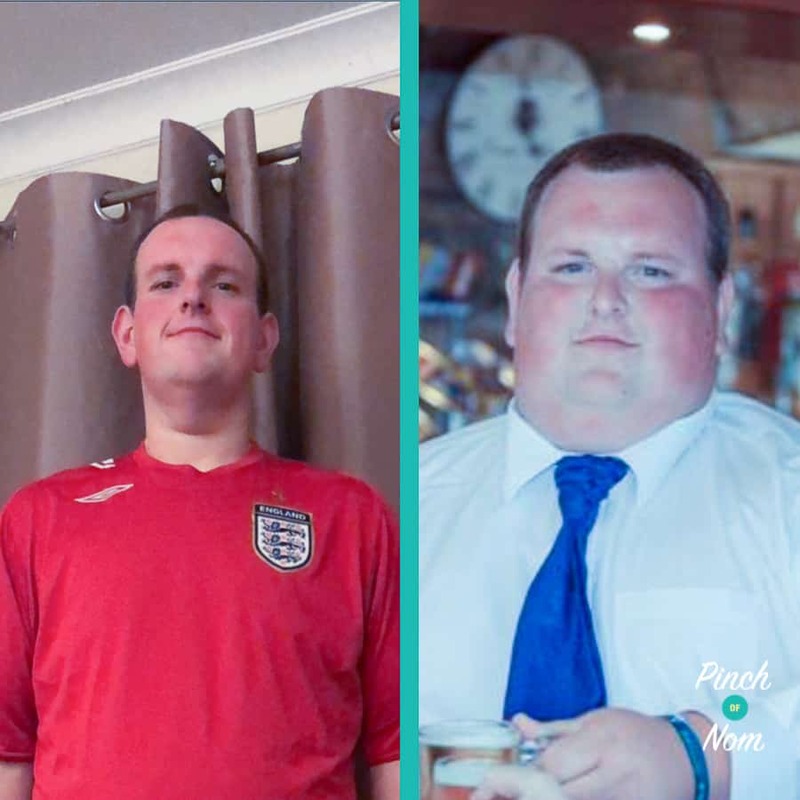 In these A Pinch Of Motivation articles, we’re asking a series of questions to get an idea about how people approach their Slimming World journey, what obstacles they’ve faced, and how this has changed their life for the better. 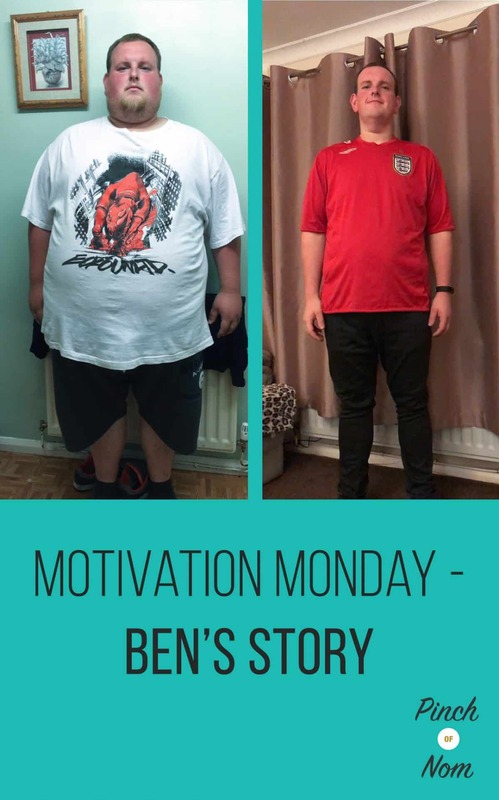 This week our Pinch of Motivation focuses on Ben’s story. 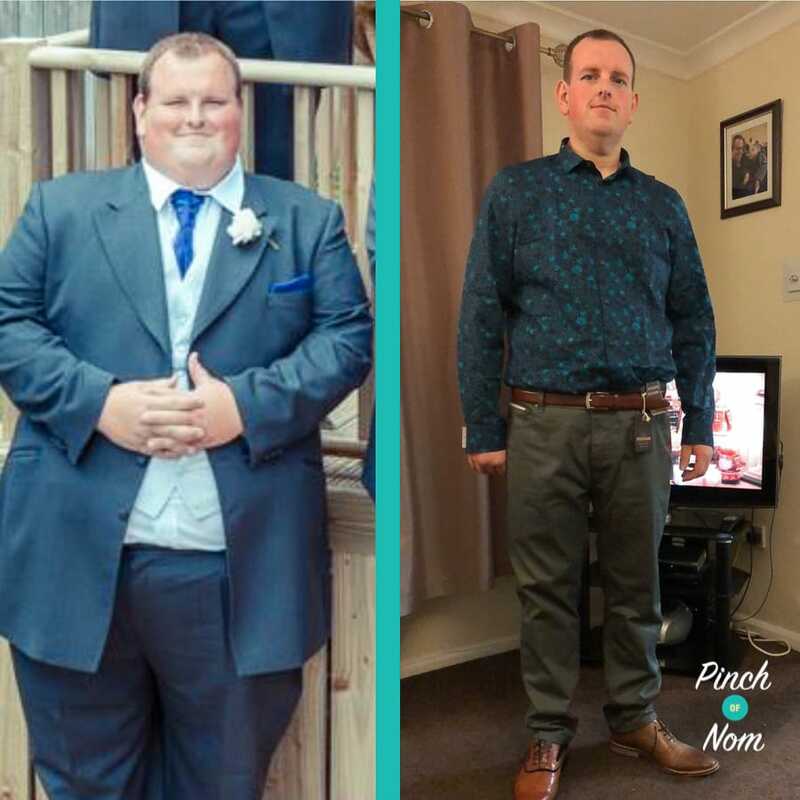 Ben is 28 and has been following Slimming World for around eighteen months, since August 2016. 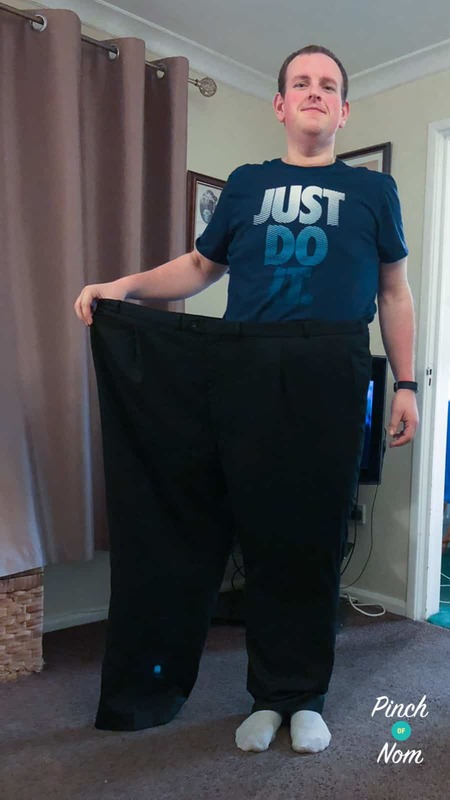 As you will read through this article, Ben has lost an amazing amount of weight, most of that in his first year of following Slimming World. 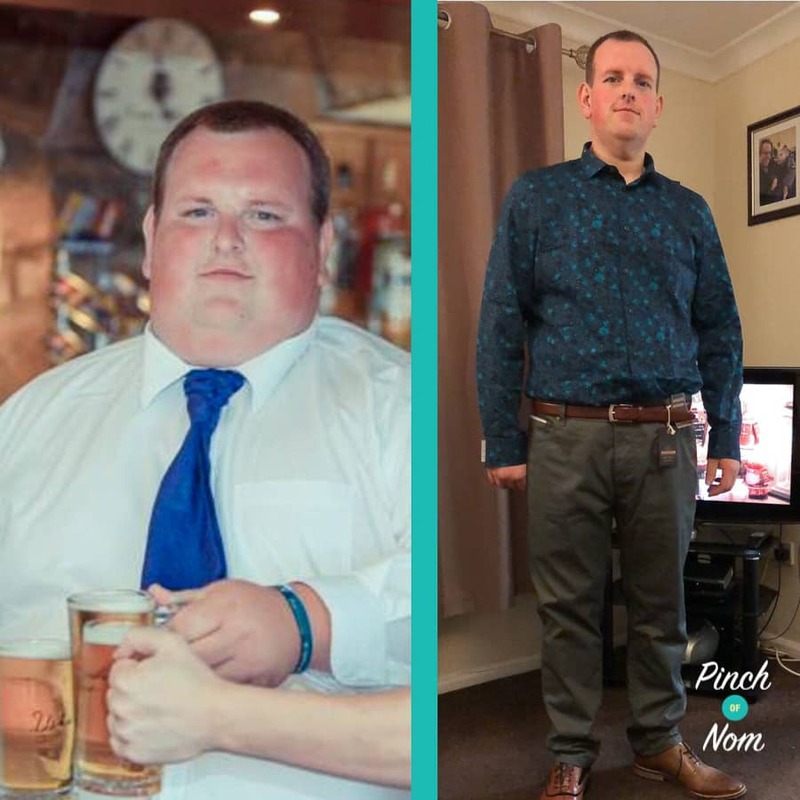 Ben’s weight loss journey began from family tragedy, which has since become the main motivation for him to become so successful on his weight loss journey. 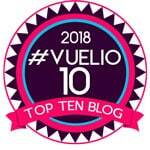 We asked Ben a few questions to gain a better understanding of his fantastic journey, and how he’s managed to do so well. It was when my Mam made a heartfelt appeal to me shortly after my Dad passed away. A few weeks after my Dad passed away my mum said to me in tears one night that she didn’t want to lose me as well. She has tried for years and years to get me to lose weight but I had never done it. 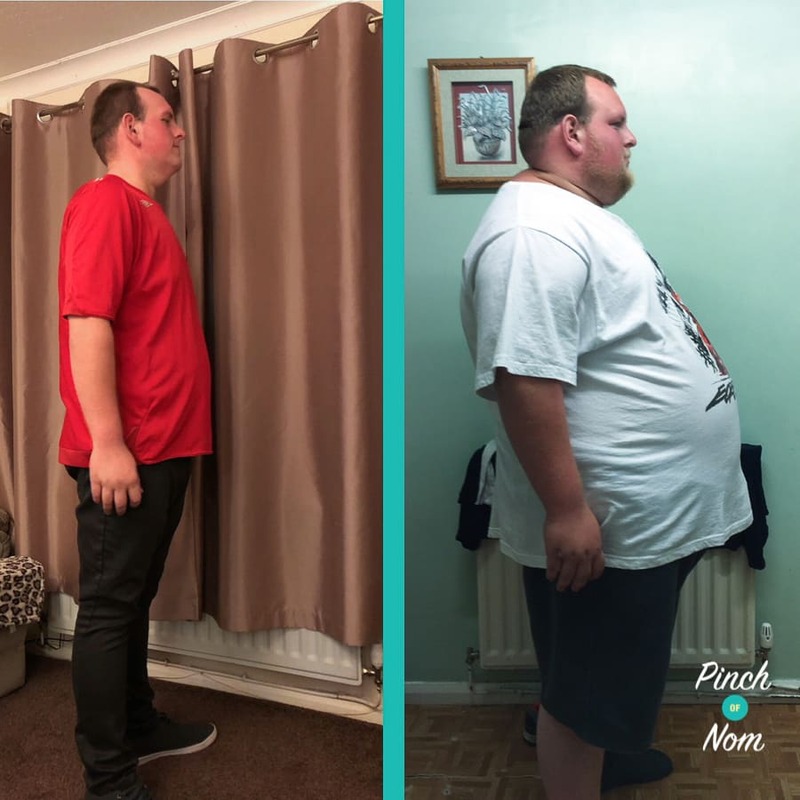 Ben – Before and after joining Slimming World! But this time when she said this, I knew she was scared for my health and I had to do something about it. My breathing had gotten worse, to a point where even walking up stairs or getting out of a car would cause me to be out of breath and I had started getting chest pains. My Mam’s heartfelt appeal to me got the idea of going to Slimming World in my head, but I still couldn’t get my self to walk into group. This changed about a month later. 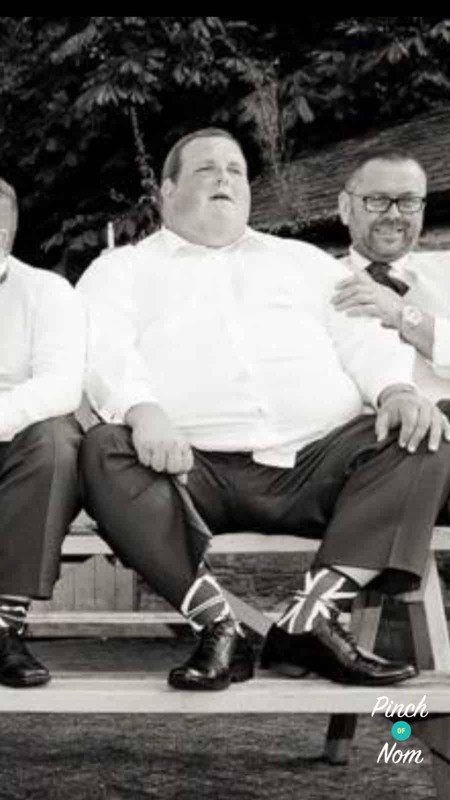 A close friend of mine called Nicky knew a Slimming World consultant of a group close to me and he said that he’d come with me for a few weeks. He knew I wanted to do something about my weight but couldn’t walk in to a group, so he took me up one night and for a few weeks. I think that helped me so much as I couldn’t build up the courage to actually go to a group by my self, so him coming with me got me that final step to getting into group. I’ve never looked back since that day! My first week couldn’t have gone any better! It took a couple of days to get used to the plan, but after that I found the plan surprisingly easy to follow. Ben and his old trousers, slightly too big! Come my first weigh in a week later I was shocked to learn that I had lost 16lb in my first week! I’m in to my 18th month of going to a Slimming World group and I’ve lost 16st 9.5lbs. All my friends and family were just over the moon for me. Everyone kept and keep telling me how proud they are of me and that spurred me on, knowing that everyone was behind me supporting me 100%. I wish I knew how easy the plan was to follow and how friendly the groups are. 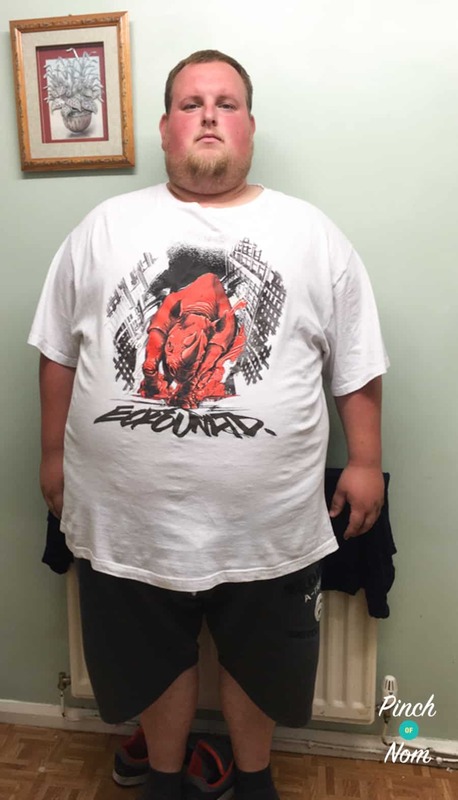 Ben’s now enjoying life so much more after losing so much weight! If I knew these things I would have joined a lot sooner. 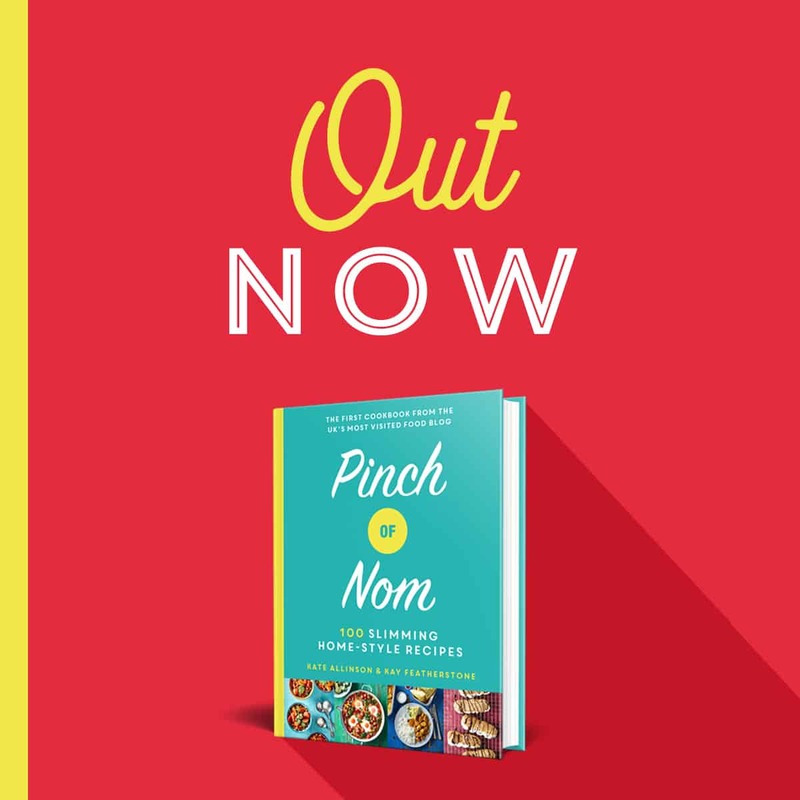 Social media pages such as Pinch Of Nom are great! 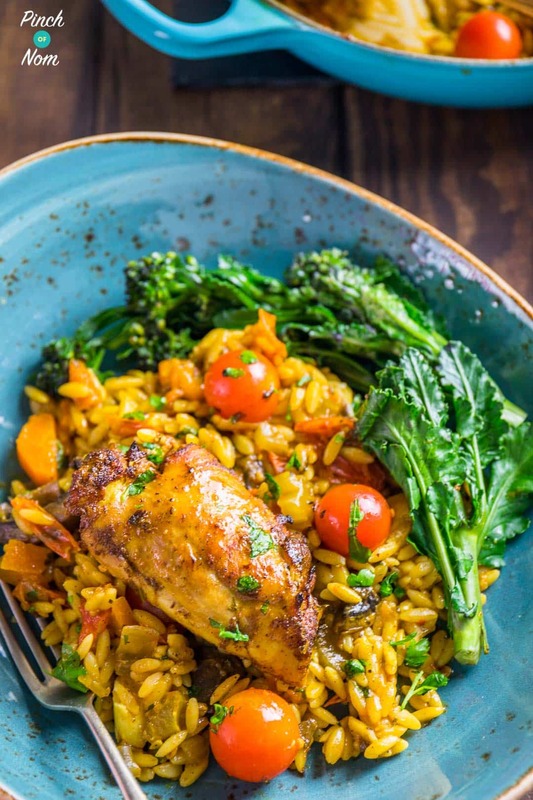 I have gotten loads of recipes from yourself and off a few Instagram accounts. It helps keep the variety in my food which helps me, so I don’t get stuck eating the same old same old stuff which would be boring and might make me pick at unhealthy things. 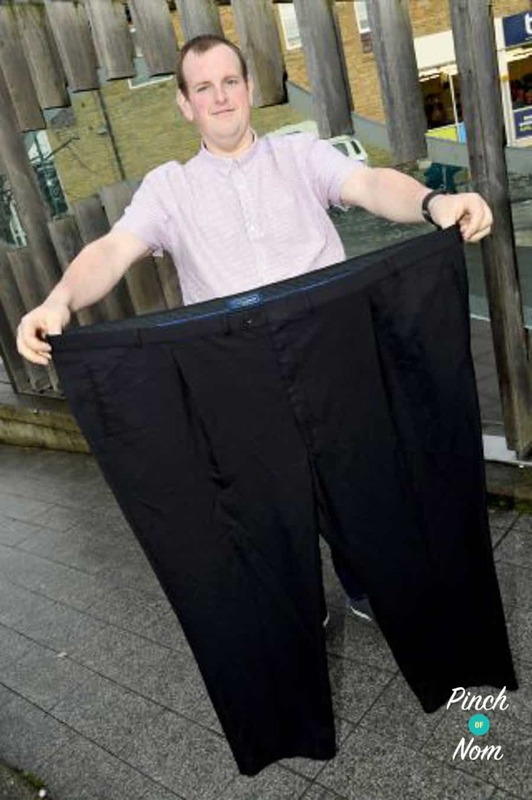 Ben’s trousers before he began his Slimming World journey! Social media also helps as I love seeing how well people are doing on their own journeys and it inspires me to carry on. It even inspired me to start my own Instagram page up to blog my journey and hopefully to inspire people to lose weight. 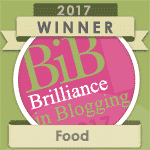 I haven’t got a favourite meal really as I like so many of them, I couldn’t pick a favourite! I’ve had a few favourite non-scale victories! One of the best was been able to shop in normal shops for clothes instead of having to get a lot of my clothes online and from a certain large man shop. Ben is now able to buy any clothes he wants! It feels great just to be able to walk in to any shop and buy what clothes I want, going from a 6xl top and 66inch waist down to 1xl top and 38inch waist. The best non-scale victory was been able to buy a car that I had wanted for years but couldn’t get because I could let fit in the sporty seats. Now I have the car I wanted cause I can now fit in the seats of, my Focus ST which I love! Not to sound like a cliche, but Slimming World has changed my life! 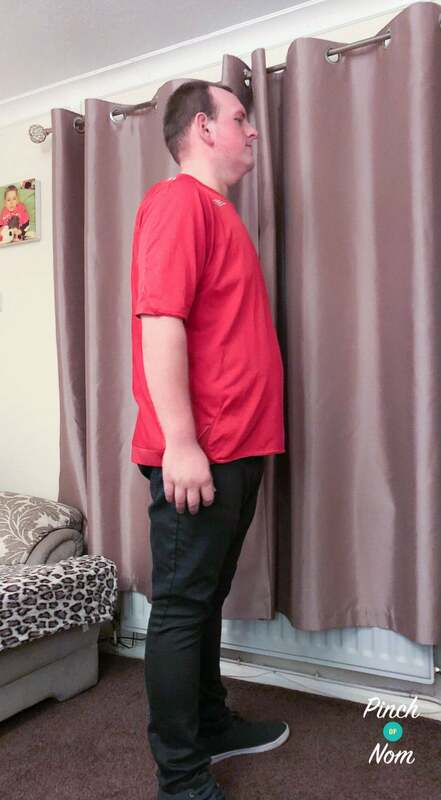 Ben after losing over 16st with Slimming World! I’m doing things now that I never dreamt of doing. I bought a season ticket for my favourite football team Newcastle United because I can now fit in the seats comfortably now. I’m going out with friends more now as in the past, I tended not to go out as my confidence was so low, and I am even running the great north run this year too! Well done Ben, you look great.